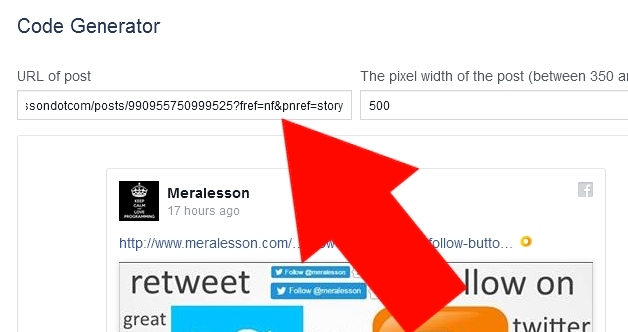 improve your rank in this cause why not we should embed Facebook post to our blog. 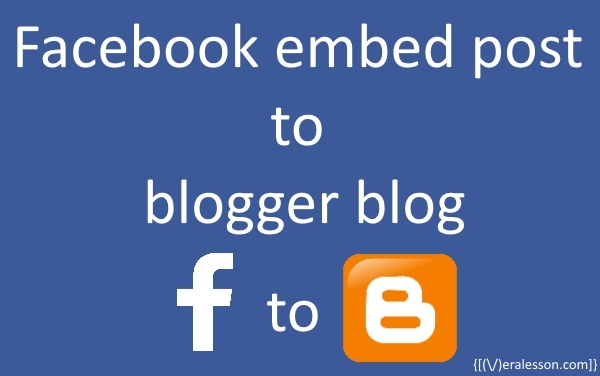 If you want to add a Facebook post to your blogger blog yes, then you are in the right place in this lesson I'll show you How to embed Facebook post in blogger blog, it's easy and simple you will have to do what I show in this lesson step by step and you're done. This method is easy to implement, but you have to add the URL manually it takes more effort than the second method, so in order to do that we have to copy post url and paste it to the Facebook Configuration tool, and then hit get code button. 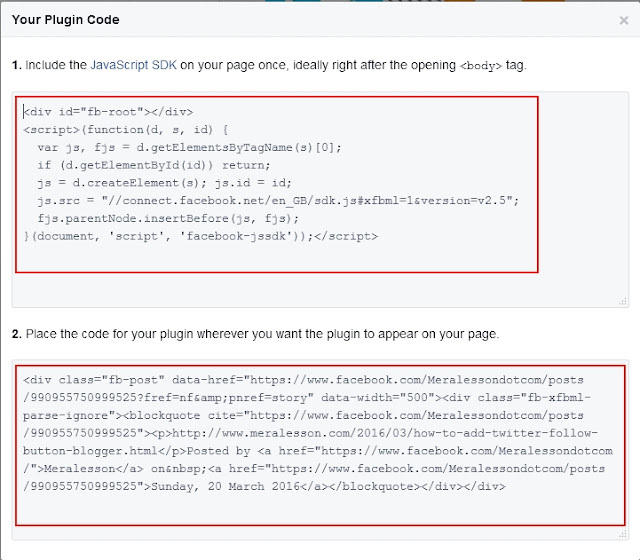 and then you will see a window like this copy the code and paste it where you want to embed in your site. For embedding Facebook post you will need to go to your Facebook account and see which status update you want to add to your site, it doesn't matter if you want to embed your post or someone else. So once you log in to your Facebook account then you will see your post updates, on the right upper corner of the post you will see an a point-down-arrow click on that and then click to more option and finally select embed. once you clicked on embed then you will see this. copy this line of code and pate it where you want to embed it .